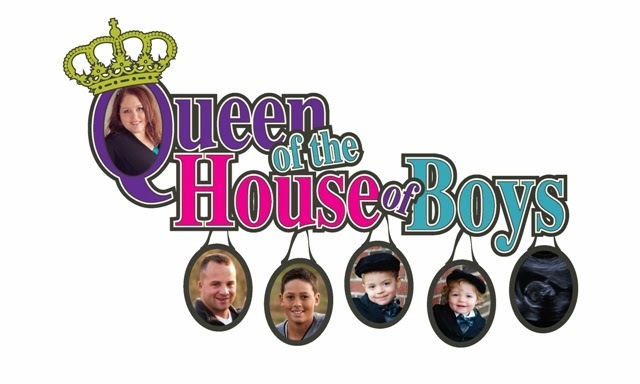 Queen of the House of Boys: My first GIVEAWAY!!!!! UPDATE****AND THE WINNER IS.......CINDY! We did the drawing the old fashion way...wrote the names on paper, cut them up, and Xavier drew a name out of a hat! Just checked out Cindy's blog a couple of minutes ago. Looks neat. http://hellcatvintage.blogspot.com/ Cindy lives in TN and sells vintage items. That sounds like fun Cindy! Congrats on winning my first ever giveaway! Please email me to work out getting the prize sent to you. jjxmiller@gmail.com. Thank you everyone for participating! This won't be the last giveaway!!! Back in the the beginning of February 2008, I was still working part-time for the phone company. My friend, who has also been my Mary Kay Independent sales representative for 6 years...invited me to a big event of hers called "Girls Night Out". I hadn't been out for awhile...and it gave my husband and I an excuse to go hang out in the city. So...I Got sucked in...I mean I went. It was fun...It was energizing...they had all the answers for helping me earn an income to support myself, so that I could eventually leave my regular J.O.B. (Just Over Broke) What I didn't know is that Just about 6 weeks later, my husband and I would make the decision for me to leave my J.O.B....so that I could go manage the office of our business (Cleaning and Restoration Company). This was a huge task and I had no extra time to do anything but manage the office. THEN...what we still didn't know was that 3 days after my last day at my J.O.B...we found out I was pregnant! So then not only did I already NOT have time to do anything extra because of my career change, I also would soon have no energy, be very sick, and no desire to do anything. Then, I would decide that I would not work outside the home at all and get to stay home! Oh, and then we would decide to do MAJOR remodeling and demo in our home which caused me to move to my mom and dad's for awhile. Then...I had a baby! Whew...2008 and 2009 so far have been BUSY! But nonetheless....since I didn't know all those variables at that moment, I SIGNED UP! I, Janelle, was going to be the BEST Independent Beauty consultant for Mary Kay they had ever seen! I was so pumped that I bought $2000 worth of product (keep in mind this is wholesale price, so I actually have $4000 worth of product in my hands). To this date, I have not had a SINGLE party, I have not attempted to sell a single thing! I have sold a thing here or there to a friend who knew that I had the stuff, but I have not actively attempted to sell any of it. AND I HAVE NO DESIRE TO DO SO!!!! I do not have the kind of temperment that will ask people to have parties, and I am not the kind of person who has enough energy to put into managing my house, kids, and selling stuff on the side. The guilt of having those totes full of product tucked away has plagued me for some time. It has been a joke between my husband and I for awhile, and sometimes was no joking matter at all. This giveaway has a retail value of $90! And this stuff really works! I LOVE IT! Oh, and it comes in a cute little bag. My set comes in white bottles instead of the pink, because the pink bottles are brand new, same thing though. ;) Even if you do not use Mary Kay products, this would make a great gift for someone, Christmas is only 3 months and 25 days away! I would like to first congratulate YOU in participating in the FIRST ever giveaway on the Queen's blog! Here are the rules to enter the contest. 2. Become a public follower on my blog. 3. Leave me a comment on this post. I would LOVE to hear about any experiences YOU have had with signing up to sell something like what I have mentioned in my post! 4. I will randomly choose a winner on Friday of this week. 3. I signed up with Amway (was Quixtar when we signed up) about 8 years ago, and we still sell the stuff, but only because we (okay, I) love their laundry care line. LOVE it. I also did Home & Garden Party for about 6 months or so, and pretty much hated it. It just wasn't for me. Yay! I started subscribing to you just in time for a give-away... how 'bout that?! I haven't bought product from any company with the intent to sell. The closest I've come is last year I self-published my own quilting pattern. I paid for 50 of them printed and only sold about half, but then again, I only asked one quilt shop to sell them for me, I have the rest of them just sitting here. BUT, the feather in my cap, I guess, is that a woman won a blue ribbon at the state fair using that pattern this summer. I'm kinda like you, Janelle, I just didn't think anyone else would be interested, so I didn't even ask. I'll do ya one better and link to you on my blog, too! 3. I have signed up for mny things thru the years...including Mary Kay MANY years ago! The latest adventure was Arbonne. I have had a few parties but find I have almost been to busy with EVERYTHING else going on around here, you know. I do like the Arbonne products...especially the make up and I do still sell it. I also like Mary Kay, too, tho! Read it! I have been a follower of you since Day 1!!! I haven't signed up to sell anything but have thought about it! The procrastinator in me says I probably wouldn't be too good at it!! ha! I've used Mary Kay until I quit work and now can't afford the liquid gold!! Now I am sparingly using the remaining bits I have just wanting them to hold on. THAT is why I don't wear makeup everyday....yeah that's it...definitely not too lazy!! Hey I am going to post about your giveaway and maybe some of my readers will stop by here! I almost got sucked into selling Mary Kay about a year ago but convinced myself that I don't know how I'd ever have the time to actually do it! I look forward to being a regular follower of your blog now! 3. I got suckered into buying a bunch of stuff with the intent to sell BeautiControl, never sold it, never bought it, and incidentally most of the product was ruined due to a faulty sink pipe:(. Almost got drug into selling mary Kay a few years ago. I have a hard time telling people no, but I am getting better at it:)!! 1. read it. fabulous.. you should let me know more of what you have :) and Zae with a cell phone.. love it! Promise it will make things more safe.. when he is not around. Lots of school activities! I've always wanted to do something like this. My husband (always conservative) thinks that it would never work. I wish you tons of luck and maybe I'll take a shot at it one day too! 3. I am currently selling Pampered Chef, but actually was debating about selling Mary Kay. I use Mk though for most of my make-up and love it! I love selling PC though, I hope to be able to make that my full time job! 2. I'm also a new follower. Thank you, thank you, thank you! I have just sent you an email. I can't wait to try these products! Your welcome! I hope you enjoy them! You "should" use them twice a day. Wash, apply day solution w/SPF, then the moisturizer...then at night repeat only use the nightime solution instead of the daytime. Enjoy! I DO NOT like to talk on the phone and was not at all excited about standing up in front of a bunch of women and talk about jewlelry. But my husband and I decided to go for it so I didn't have to go back to work. And only because I love my family so much is why I have worked so hard to get where i'm at. I love it and I will be a Lifer with Premier Designs Jewelry! I've read it, I guess that means I'm a follower! I, too signed up for Mary Kay a long time ago~ I did actually sell it for quite awhile and attended conventions when Mary Kay was alive. It was a lot of fun, but 4 years ago, as you know, I signed up with Cookie Lee Jewelry! It has been the best choice I'VE ever made with a home based business! I have been a personal shopper with them, and a part time consultant, and recently started in it full time! I am now doing some home shows, but have also added office shows, and fundraisers. I'm a manager now and have several girls on my team-it is a lot of fun, and we experience the "girls' night out" thing quite often! The beauty of our shows is we don't have to do any presentations; the jewelry is in the trays, and girlfriends come and shop and take it with them. No ordering, no deliveries, and hostesses enjoy the free jewelry! I am on track to win a free trip to the Dominican Republic this year. Yes, lots of perks in direct sales, and home based businesses, but it is more work than people think. I realize it is not for everyone, but jewelry is definately a product that is timeless, and it sells itself! Good luck "downsizing" your inventory investment! Have a great week!